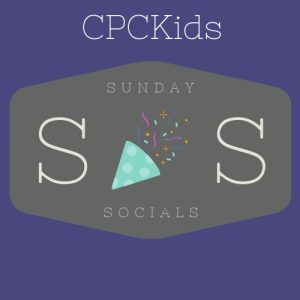 Sunday Socials are our monthly gathering of CPCKids families for the sole purpose of cultivating relationships among families and having FUN! Sunday Socials are typically the 3rd Sunday of every month following the worship service. Activities may include time on the playground, crafts, games and an occasional special treat.